Restore the original sharpness and precision angling back to your knives with a 2-stage process that leaves knives as good as new. 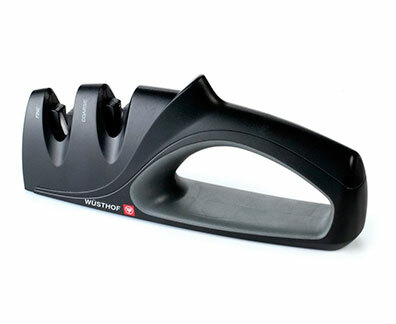 This expert handheld sharpener renews the knife back to its original factory edge, letting you conquer even the toughest ingredients. Lifetime warranty.